This is amazing! I feel like I did a really good job of narrowing down my wardrobe when I moved to SA, but over the years it’s ballooned again. My main problem is t-shirts — I have so many and find them really hard to let go of because they all have special meaning. Anyway, thanks for he inspiration. It is something to always be mindful of – I am determine to not let my wardrobe get out of hand again! These are some useful and practical tips. Would definitely try and implement them in my wardrobe. Thanks Tanvi, hope they help – good luck with the declutter! Let me know if you need any more advice. I’ve been really analyzing my wardrobe and I have too many shoes, dresses I not longer wear (mini) and too many bags. i will definitely screen my wardrobe come spring. This is a great concept. 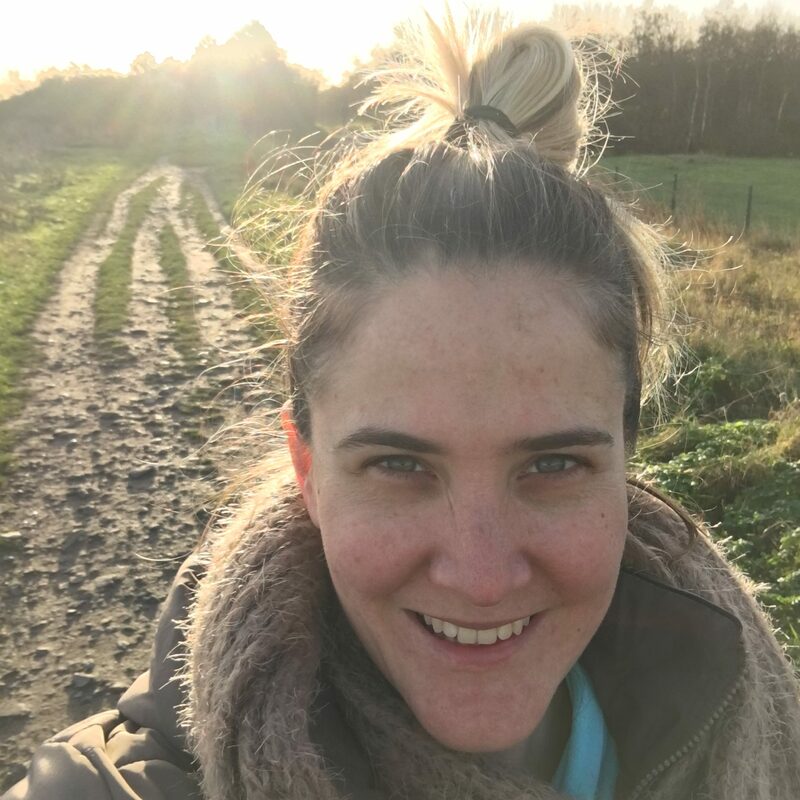 Happy Decluttering Sam – shout if you need any help! I am a minimalist to my core and so my wardrobe is already pretty condensed, but I think I could do better about having pieces that go with everything else instead of just fewer things. One thing I do love are dresses though! Especially here in D.C.
Ah summer dresses, I wish I could wear them here. Winter gets a bit trickier here in Dublin, but I am working on it! Wow I have to admire your organisation. My wardrobe is in a bit of a mess and could use a declutter. 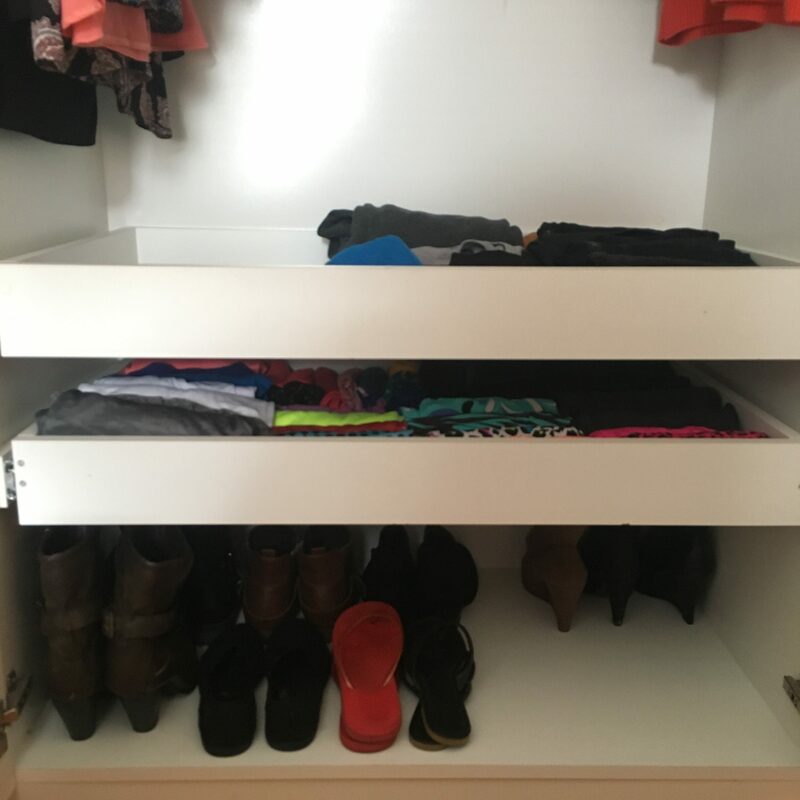 Been there Heather, hope the post helps motivate you to get stuck in and sort out your wardrobe! 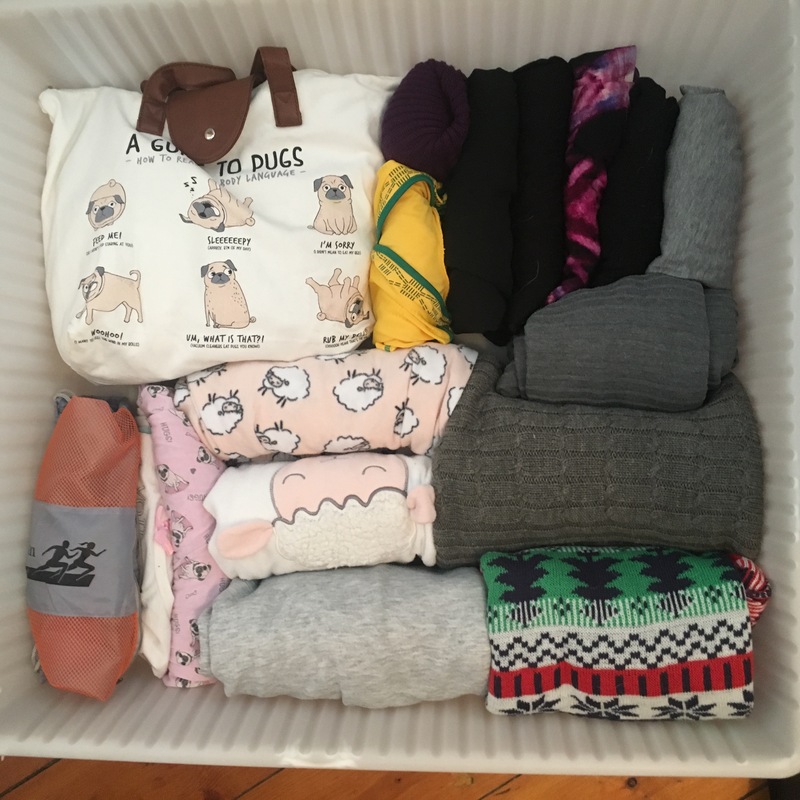 I love my capsule wardrobe! I am glad to hear that you don’t include your pj’s and workout gear in your capsule because I always feel a little insecure about not including them, like am I a fraud? But those items are in need of a lot more rotation so if I included them my number would double I think lol.. This is such a great comprehensive outline for a starter capsule! I wish I had read this back when I started making my capsule over a year ago! Do what works for you. I actually don’t even think you need to focus on the number – the key is to keep what you wear, and be aware what you bring in. I agree pjs and workout gear is something you need to wash more regularly! haha, well I am just starting out! But honestly, 2 pairs of jeans (one more formal), 2 work pants, and a pair of jeggings doesn’t seem like a lot to me! How many bottoms do you own? exactly, a good trick is to turn your hangers around when you wear something, you find out pretty quick the items you wear and the ones you don’t touch! This is so awesome. I am really wanting to cut down on the clothing that I have. I am so motivated now to clear more items out to sell. It’s def going to be this week’s project for sure. Woohoo! happy decluttering week – let me know if you need any more help from me! Let me know if you need any more advice or help to get you started! Thanks for this information! I have been really good over the last few years to purge and mix and match what I have. yay! Yay! I only started this year, but I think it will stick. Great read! 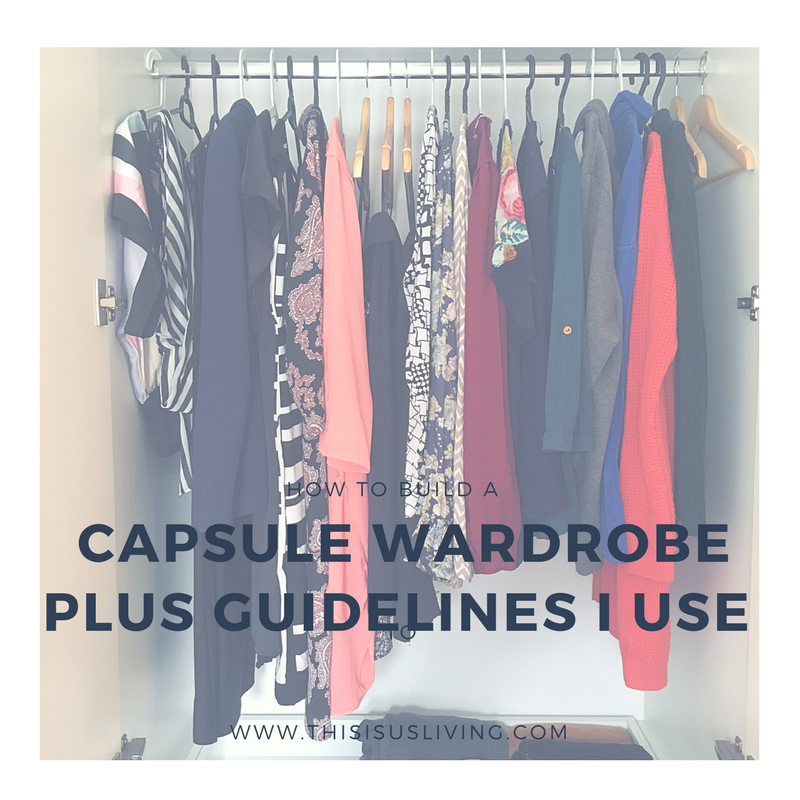 The tips here are really great, I know a few people who could stand to consolidate their wardrobes! I think that is key – just start! and being aware what you bring in. That was the eye-opener for me. 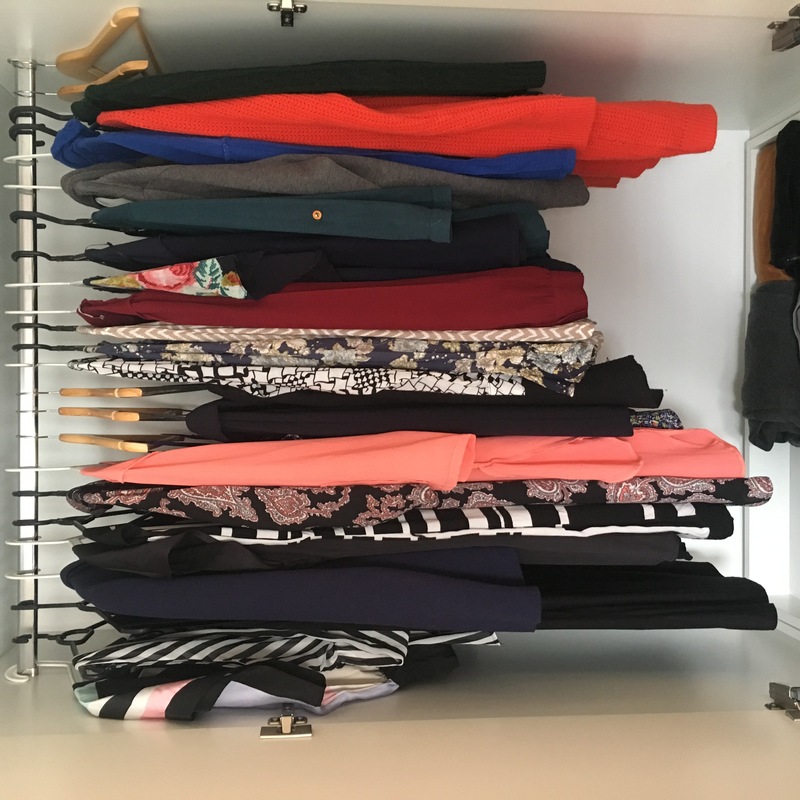 I’ve been doing a capsule wardrobe for just under 10 years. This is a great guide. Thanks so much Jess, that means a lot coming from a veteran! 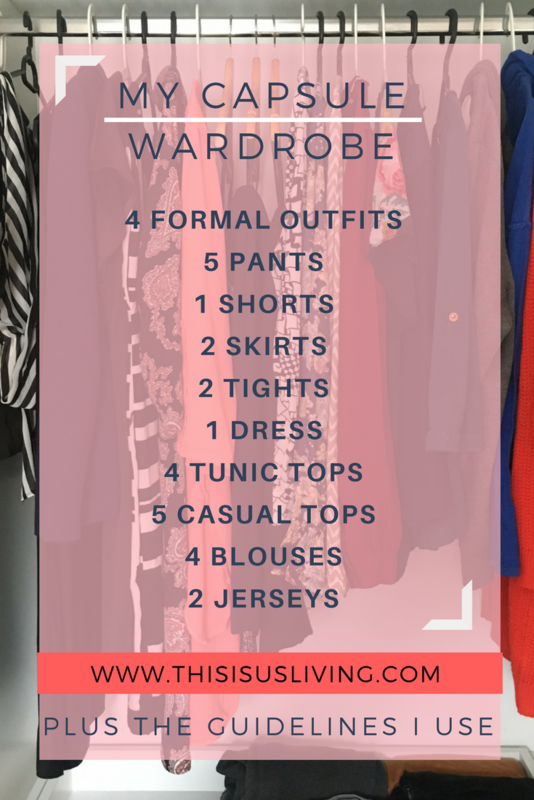 Hope it helps you to get into your closet and get rid of things that you don’t wear! Good luck Aine, i think the best thing to do is take it all out of your wardrobe in one go and start from there! Much more colorful than the other capsules I’ve seen! Good Luck Mica, I promise you once you start there will be no going back to an overcrowded wardrobe! Wow! I’m a self-professed fashion hoarder so I doubt I could ever succeed in narrowing my wardrobe down to just 33 items, but I love your approach of getting rid of things that don’t bring you joy! i think the big thing is being aware of what you actually wear and what you hold on to for no purpose – i was keeping tons of things just in case and never ever wearing them! 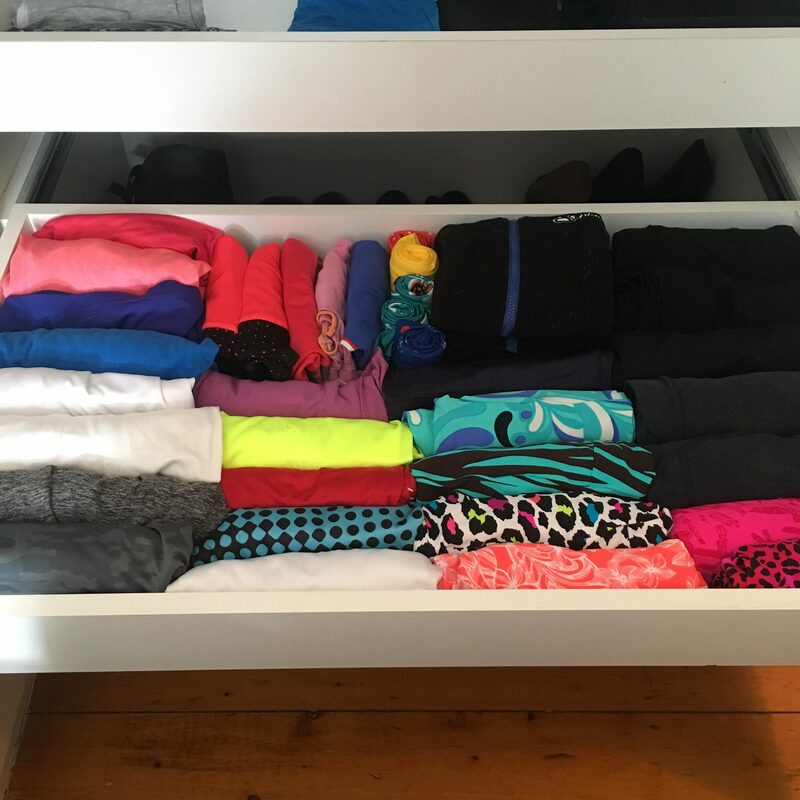 pull it all out and go through my steps to declutter – I was just like you when I started! I’m so glad I came across your blog post, I’m moving out soon and your guide will be very helpful!! moving is the BEST time to declutter! good luck! 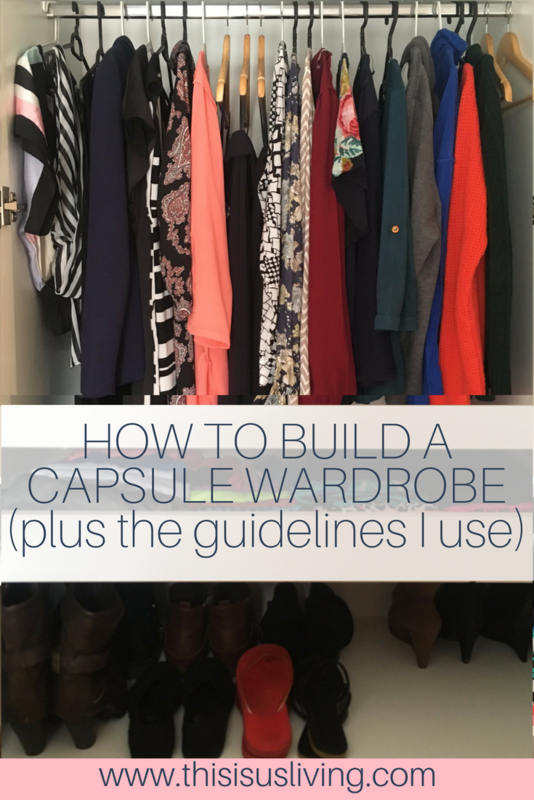 I love the idea of a capsule wardrobe! I used one during my pregnancy and am trying to get back to that mentality. Give it a try Allison and let me know if you need any help! 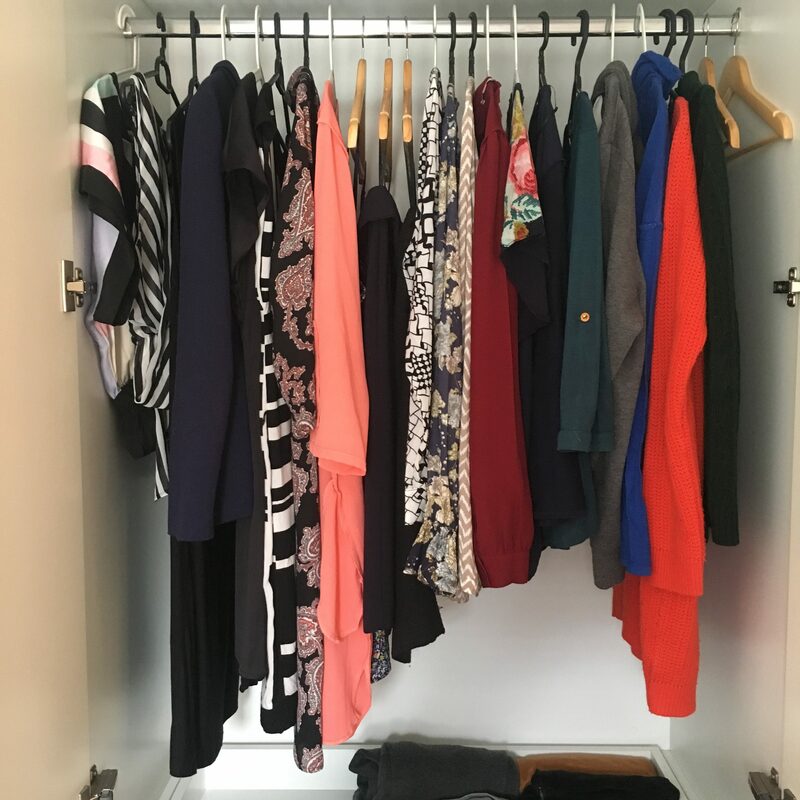 I only ever have had less than 30 items in my wardrobe at any one time – just do not like too much stuff and would never be able to choose/find anything if I had more than that. Most of it is fairly practical if stylish, puffer jackets, jeans, tops, a couple of better looking black jeans and stretchy pants to wear more formally and one black dress for special events/funerals. I live in the highlands of Scotland, so need to take account of very changeable weather and always need a hood when outside, apart from long periods of hot weather, such as we had this summer. I totally agree Trisha, why have a heap of clothes you never wear? !